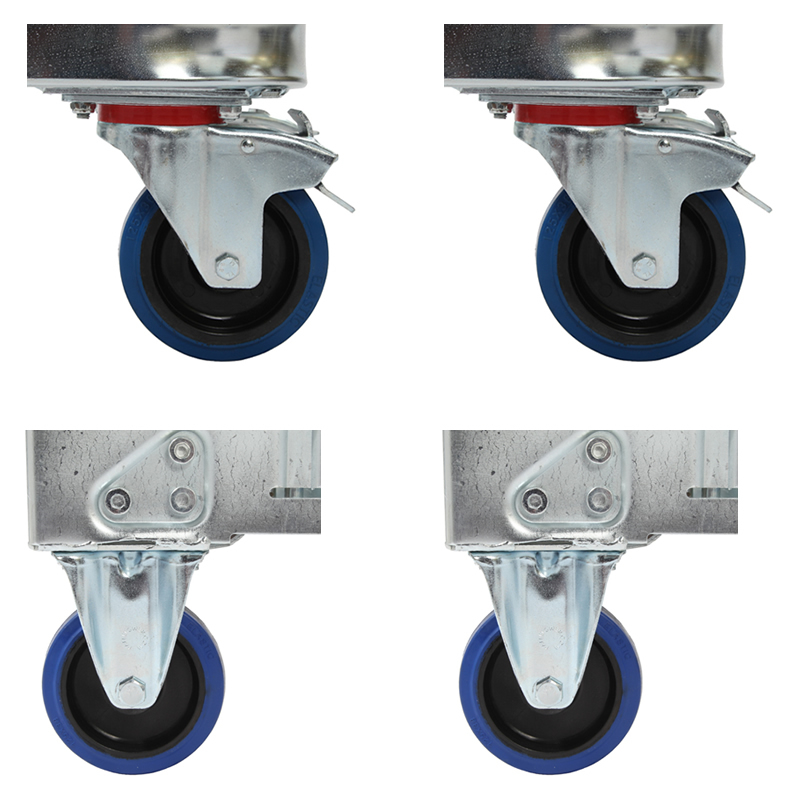 These rubber castors options are available for all roll containers/cages and are factory fitted so must be purchased at the same time as a roll containers. 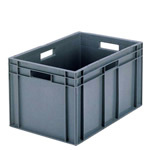 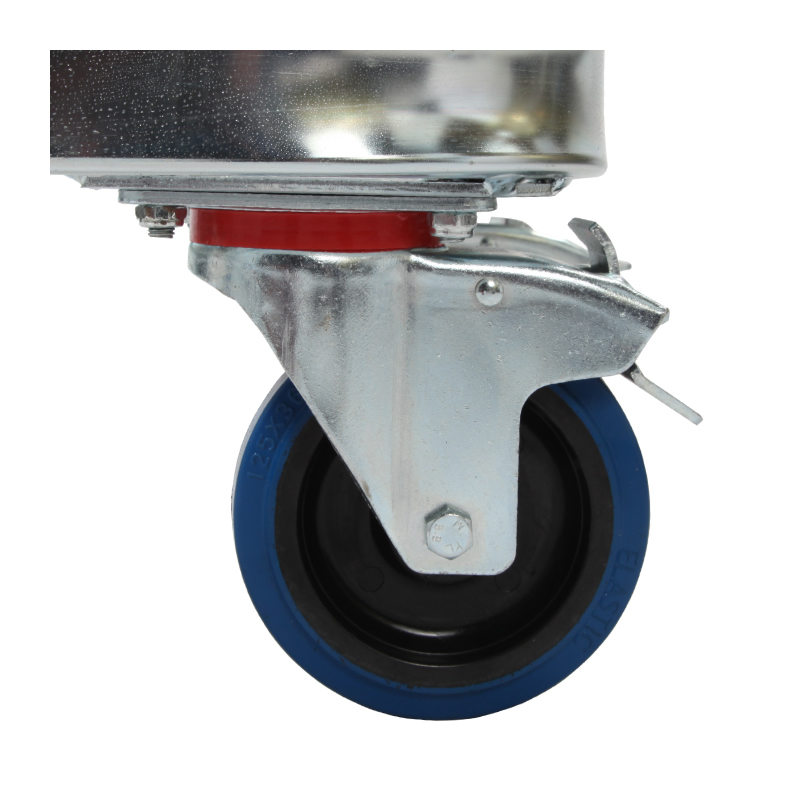 All of our roll containers come with 125mm diameter nylon castors as standard, and as these are a solid wheel, they can be very noisy and not very forgiving over uneven terrain. 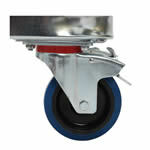 If you happen to roll up to a small stone or pothole you could also very quickly come to a halt. 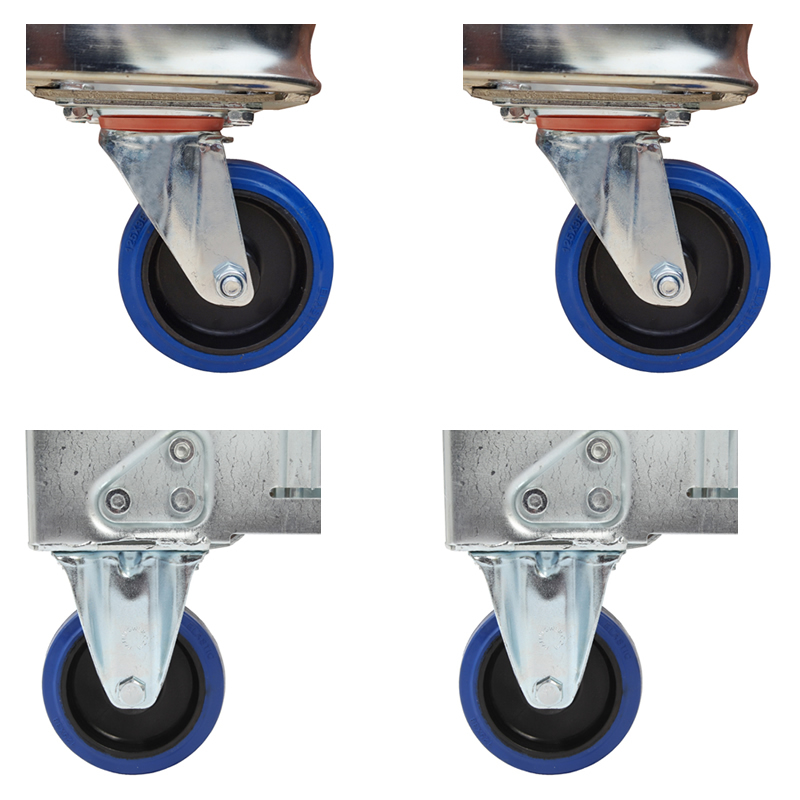 By upgrading your wheels to these rubber castors, the rubber will absorb some impact from the terrain, reducing cage vibration and making lighter work for the operator. 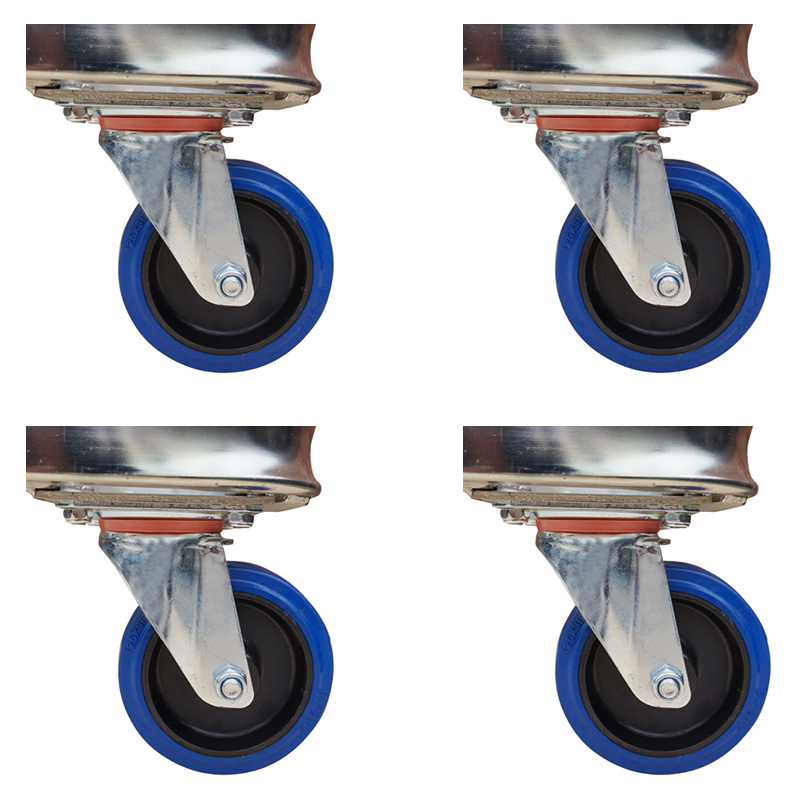 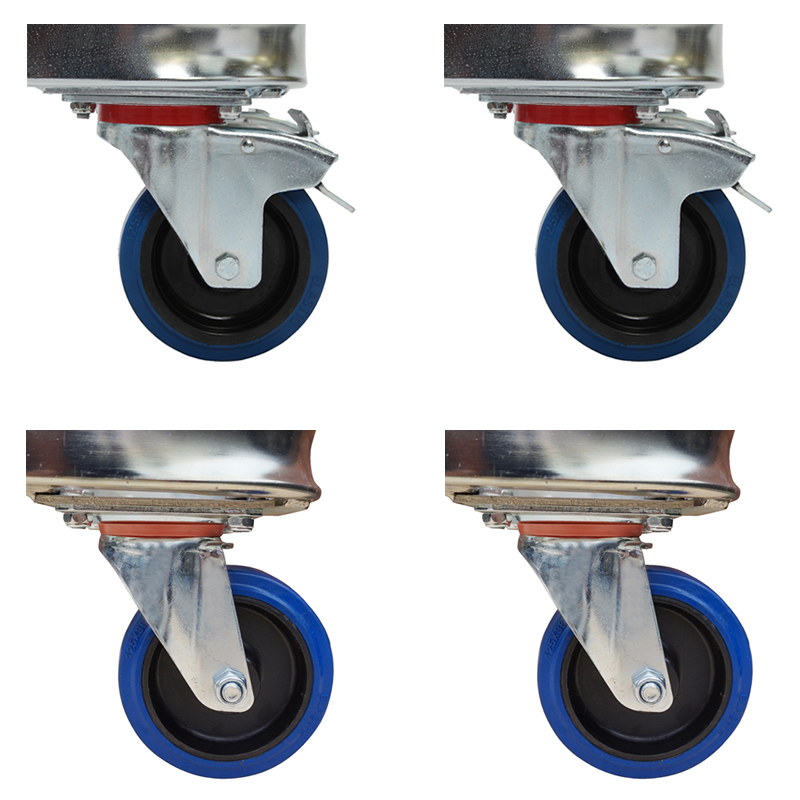 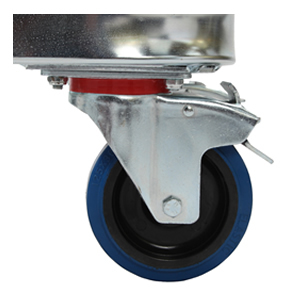 You can choose various configurations of braked, fixed and swivel castors depending on your needs; four swivel castors will give much more maneuverability around tight spaces, whereas two each of fixed and swivel makes long straight journeys easier. 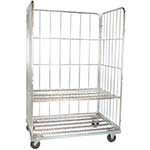 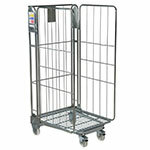 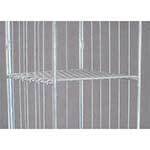 CPACK1 - Great build quality trolley, and the rubber wheels (optional extra) work well on a more bumpy floor surface.